This shop has been compensated by Collective Bias, Inc. and its advertiser. All opinions stated are my own and are not influenced by any affiliates. This content is intended for readers who are 21 and over. I know we are all preparing for the big game, for me, I'm trying new recipes that I plan on making during the big game. 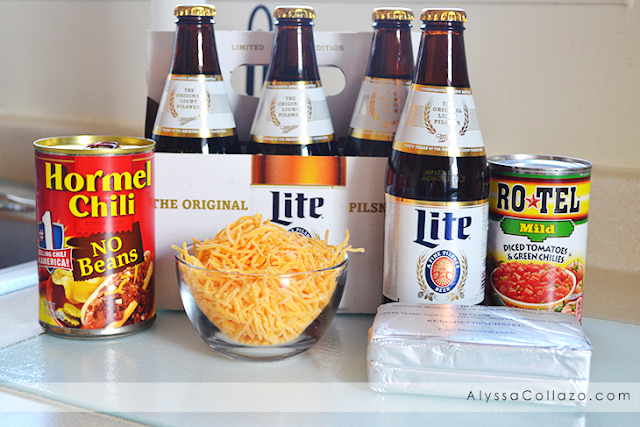 Recipes that are family favorites, easy to make but with a unique fun twist, like my Miller Lite Chili Cheese Beer Dip. A dip inspired by my mom, except I'm using Miller Lite Beer. Yes, beer. Now let's talk about ingredients. When shopping, I'm a one stop shop kinda girl, I like to be in and out. No hassle. And Price Chopper provides just that and more. 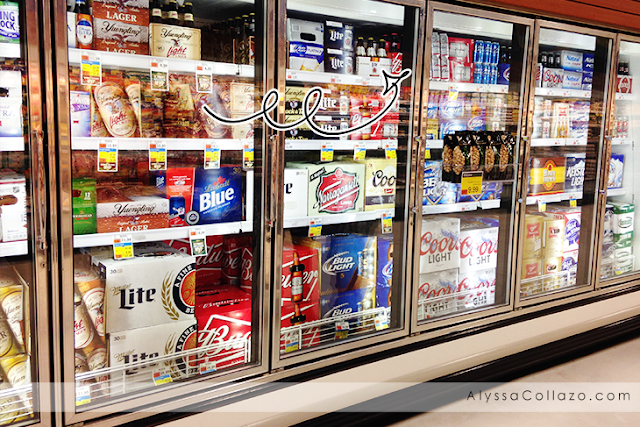 They have a wonderful variety of everything, beer included. It's my weekly grocery store of choice. Plus, they have an incredible Wing and Pizza deal, which my family loves and is also perfect for the Big Game, $22.99 for 2 single Topping pizzas and 2lb. wings. It's a deal you should definitely take advantage of. 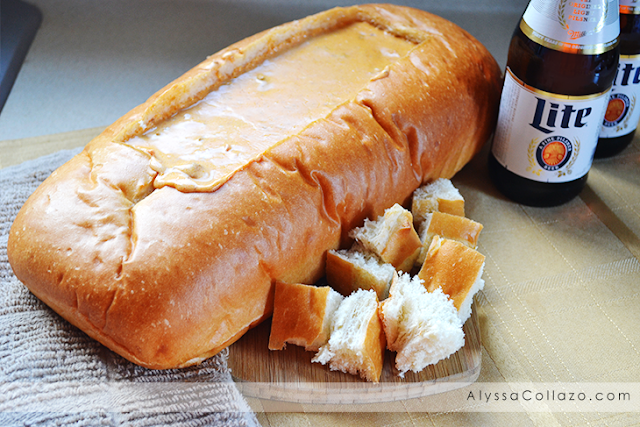 Now for this recipe, I went with a light beer that I enjoy on a regular basis with family and friends. What I like about Miller Lite is, it pairs well with Tailgate Food and boy did it pair perfectly with my recipe and made my Chili Cheese Dip so much better, it was full of incredible flavor with the help of Hormel Chili, RoTel Diced Tomatoes & Green Chilies and of course, Miller Lite Beer. 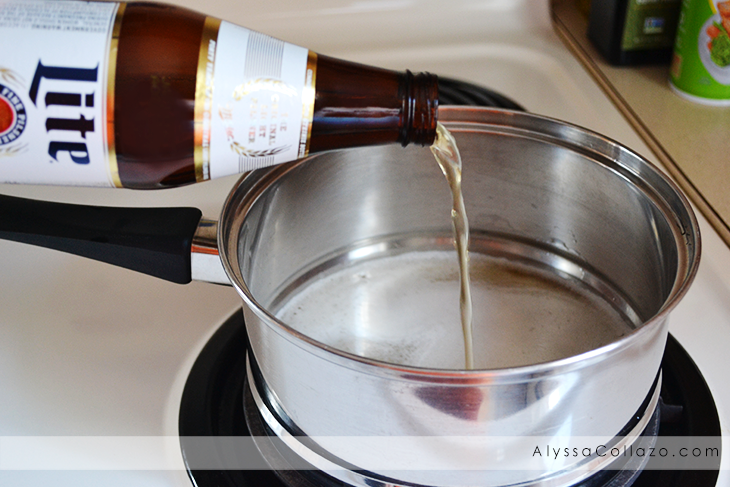 Pour Miller Lite into a saucepan and simmer for 2-3 minutes. Add Cream Cheese and stir until combined. Add Shredded Cheddar Cheese and stir until combined. Add your can of Hormel Chili and RoTel Diced Tomatoes & Green Chilies and stir until combined. SCORE! Miller Lite Chili Cheese Beer Dip! This dip is addicting and was a HUGE hit. My fiance, family and friends loved it. And after making this delicious recipe my fiance and I enjoyed an ice cold Miller Lite to end our hassle free day. And because of such a great experience that I had purchasing Miller Lite at Price Chopper and the great drinks & fun times shared with family and friends, I always make sure to get Miller Lite at some of my favorite bars in town like, Gibson's Bar and Grill, Three Figs and Black Bear Saloon. For more #BigGameAdvantEdge inspiration, be sure to follow Price Chopper on Facebook. I've never made a dip with beer before. I like the other ingredients in this dip so I would think I would enjoy this one too. Hmm, this could be a good dip for Superbowl Sunday! I love the idea of serving it in the loaf of bread, that's genius! Too bad there are no price choppers near me, it sounds like a great place to shop! 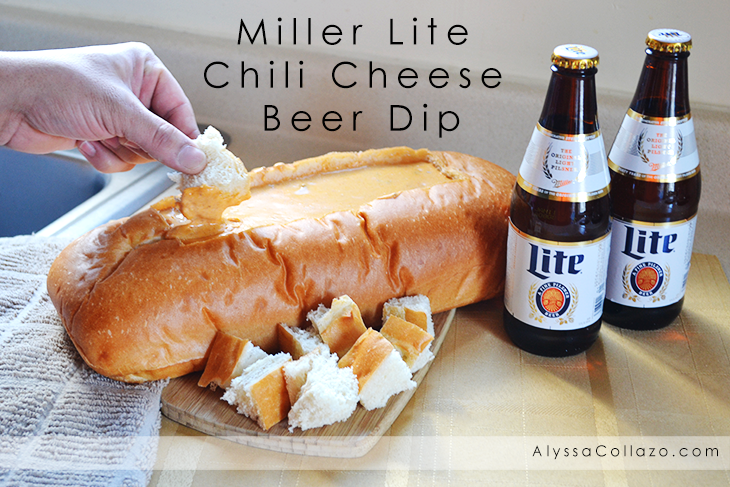 What a fun and creative way to have your chili cheese beer dip. I know this would be perfect for the big game. I’m going to tell my friends about this and see how we can chili cheese beer dip. Ohh I haven't tried a dip with beer! Well, I love dips but rather buy from the supermarket than make my own. This dip looks delish. I never heard of beer dip before nor would I have ever thought of using it either. I definitely will need to try this out sometime. WHOA. That looks amazing!!! And it can be mixed with beer? Ooooh now this is something the boys would love. Thanks for sharing. I'll be trying this out!